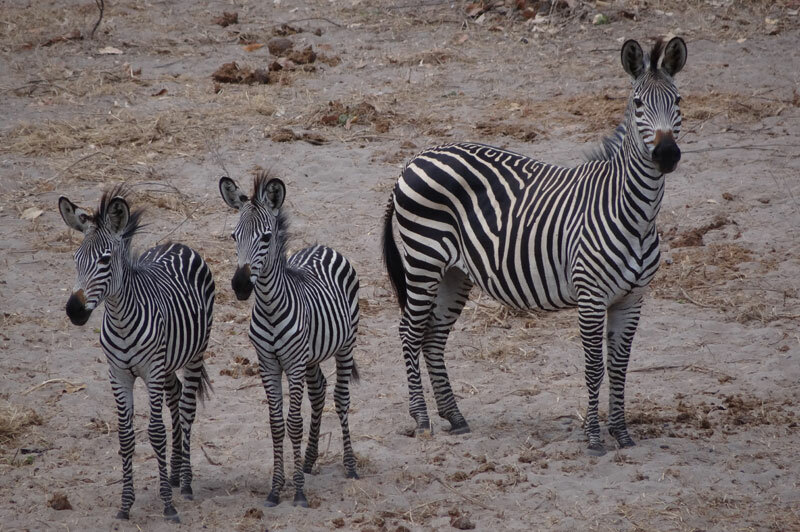 East Africa plains zebra - a mare and two youngsters. East Africa plains zebra in the Selous game reserve. Photo courtesy of Christophe Morio. 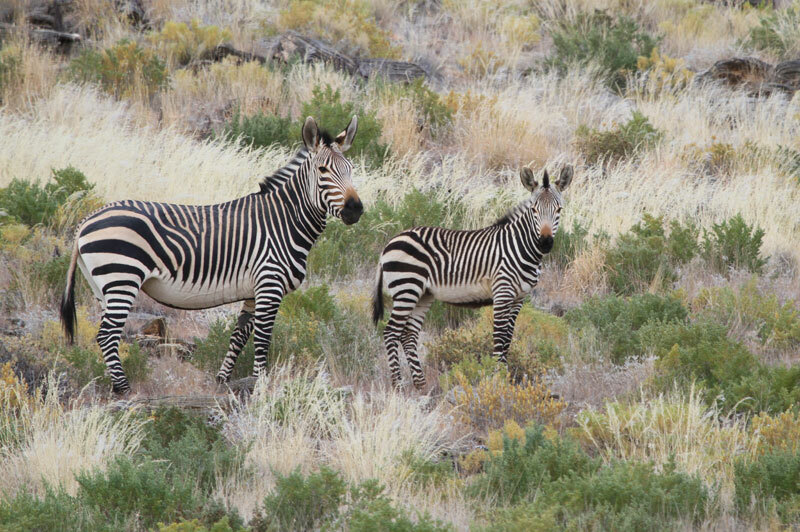 Hartman's mountain zebra mare and her filly. Burchell's plains game zebra. Note the brown or shadow stripe in the white stripe. A young Burchell's plains zebra colt. 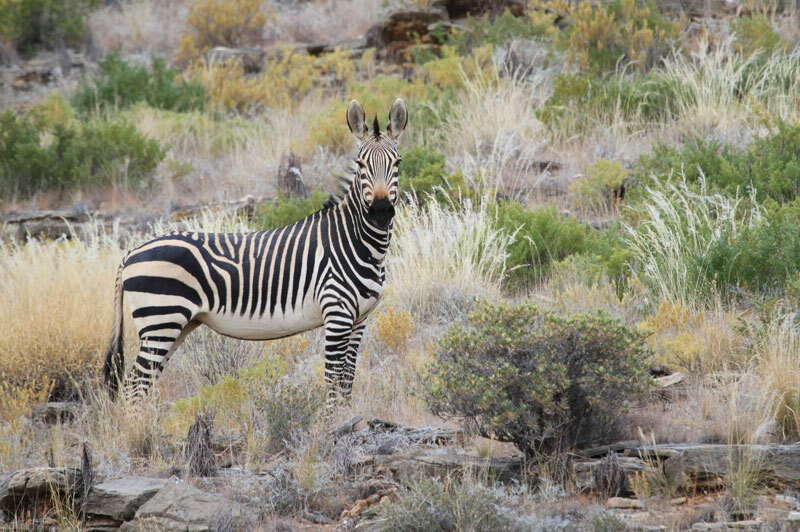 A Cape mountain zebra stallion on Bankfontein game ranch in the Eastern Cape's Karoo. 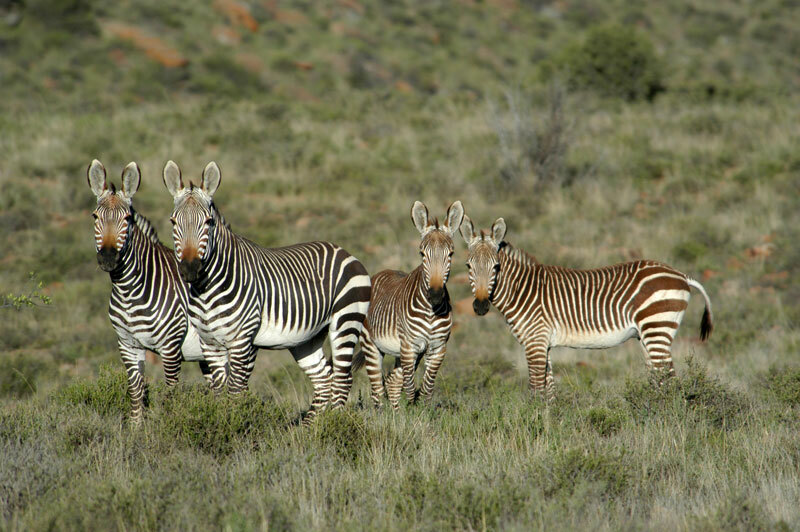 Two Cape mountain zebra mares with their offspring on Bankfontein game ranch in the Eastern Cape's Karoo. A typical Cape mountain zebra family unit - two mares, their recent offspring and a stallion on the right - on Bankfontein game ranch in the Eastern Cape's Karoo. 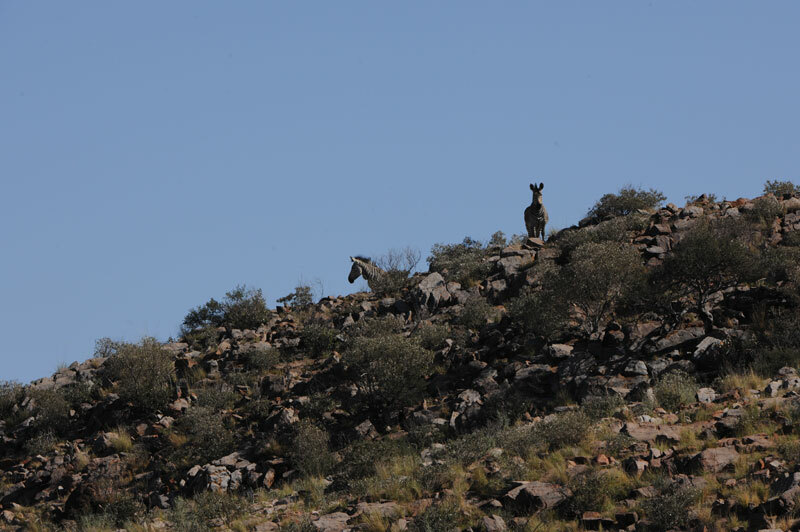 Two Hartmann's zebra stallions on the top of Korannaberg. Note the dewlap of the stallion on the left. Just back from the Kalahari. 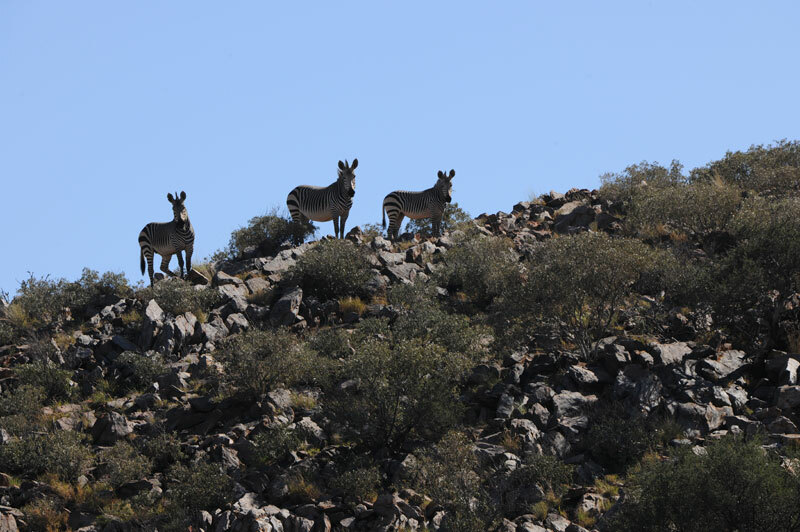 Took this photo of three Hartmann's zebra stallions on top of Korannaberg close to the border between Namibia and South Africa. I don't think I sent you any photos of them before. 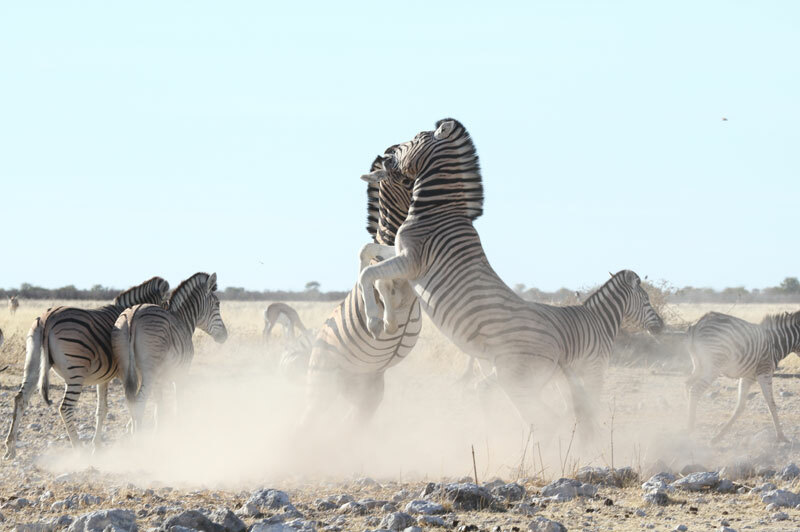 Two Burchell's plains zebra stallions fight at an Etosha game reserve waterhole in Namibia. Photo courtesy of Richard Flack. Burchell's plains game zebra herd. East African plains game zebra. Note the absence of shadow stripes in the white stripes. Photo courtesy of Andy Gooch. Grevy's zebra stallion named after a French prime minister. It is sad but true. We have had a few hunters – or should I say "so-called" hunters – who visited us on our game ranch who had no love of wildlife, its conservation or, in fact, of hunting itself. Their driving force was inches. Inches which determined whether the horns they sought qualified as a world record, a top ten or other entry in a record book or entitled the new "owner" to a ring, pennant, sash, cup or some other award. Anyone who has spent time in the hunting world will recognize the sub-species I am writing about. The worst kind arrives to "hunt" with a list of animals against which is annotated, in inches, the measurements necessary for the horns to qualify for the various awards. The hunt for these people is an unnecessary evil, an incidental inconvenience. The killing of the animal is the important thing and, usually, the quicker the better. Once dead, the first two things the "hunter" reaches for are his tape measure and camera. His pleasure in the kill is in direct proportion to the length of the horns. His almost immediate reaction after the measuring and photos can best be summed up by "Been there, done that, got the T-shirt, what’s next?" As South Africa’s professional hunting schools churn out ever more "professional" hunters in their ten day to two week courses, the primary means these people seem to use to market their services is to offer more for less – more animals, in a shorter period of time, for less money. When this type of "professional" hunter meets the amateur "hunter" described above, there is a disaster waiting to happen for the hunting industry as a whole and from every other possible perspective, be it ethics, public relations, perceptions of the public, the effect on game ranchers, decent safari outfitters and so on. For them, for example, a zebra is a zebra is a zebra. A donkey with stripes. A pyjama clad horse. 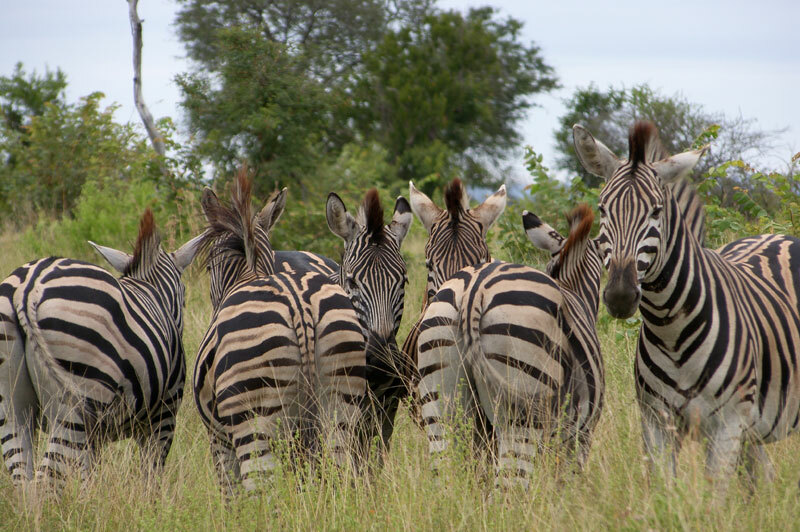 If you’ve seen one, you’ve seen them all, as one "hunter" explained to me as I stopped to watch a Burchell’s zebra stallion standing proudly to the side of his small herd. This typically disparaging attitude is compounded by the fact that a zebra has no horns. So there is no way of telling if my one is better and bigger than yours. 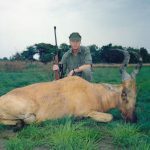 Of course, it can be arranged and my taxidermist, Rodney Krezschmar, has caused much consternation amongst overseas hunters over the years by mischievously mounting warthog tusks on rabbits and horns on zebra, to give you but two examples of his talent. Personally, I think that this approach to hunting is pathetic. That we reduce the wonders of nature to who has the better bragging rights. That we corrupt this wonderful pursuit, past time or passion (call it what you will) and force it into a competitive commercial mould for which it was never designed or intended. And the zebra One of the quintessential features of Africa, becomes a rug, a mat for people to walk on. Wear out? No problem. There are lots of zebra. An endless supply – not so? Not so. 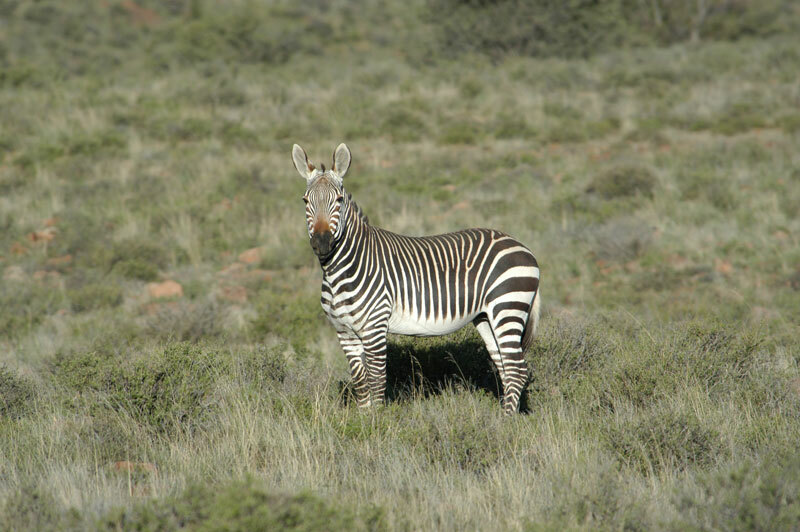 The very first zebra defined taxonomically was Equus zebra zebra – the Cape mountain zebra. In the 1950s these were reduced to a mere 11 in number, of which only five were females making them one of, if not the, most endangered animal in Africa. Even now, after years of excellent co-operation among National Parks, Provincial Reserves and the private sector, there are less than a 1 200 in existence. Three other sub-species of zebra are recognized, namely, Hartman’s mountain zebra, Grevy’s zebra and plains zebra which, in turn, is currently divided into seven further sub-species (quagga [now extinct], Burchell’s, Grant’s, maneless, Chapman’s, Crawshay’s and Selous’). 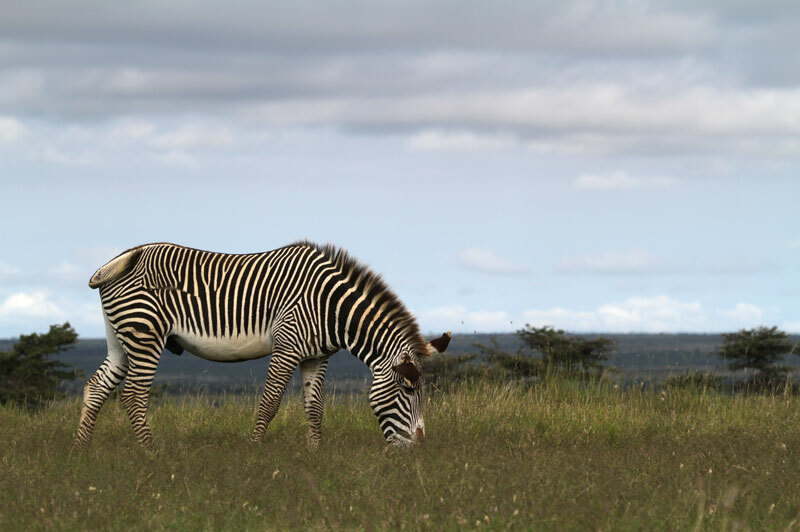 Grevy’s zebra came to prominence, by the way, in 1882 when a specimen was given by Emperor Menelik of Ethiopia to the then Prime Minister of France, a certain Monsieur Grevy. 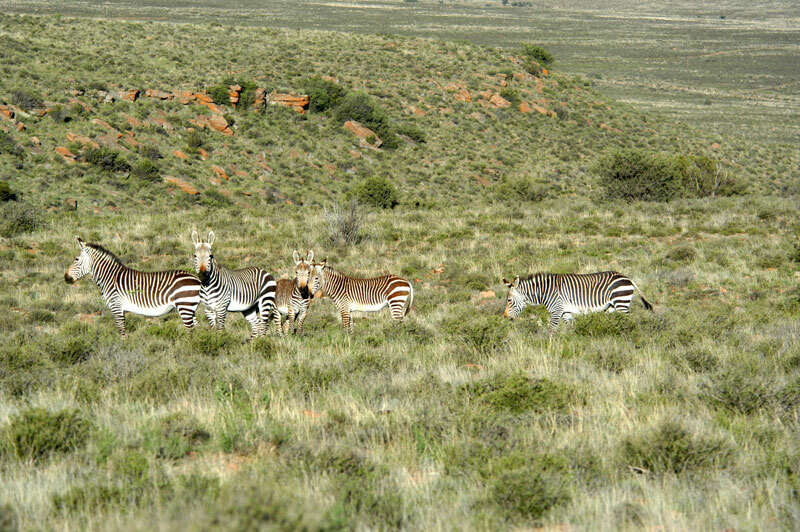 My real interest in zebra began when, in 1993, we qualified to buy some Cape mountain zebra put up for sale by the Mountain Zebra National Park, about 40 kilometres away, as the crow flies from our then game ranch on the eastern edge of the Great Karoo in South Africa’s Eastern Cape Province. After an inspection team, headed by the late Dr. Anthony Hall-Martin, gave us the green light, we were allowed to witness the capture at the park. 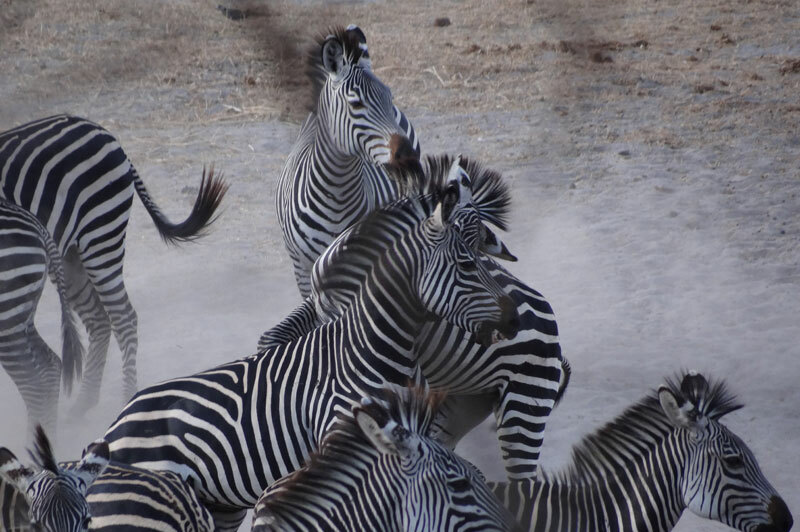 A family group of eight zebras was herded by helicopter into the capture nets, followed by three separate stallions. After much begging and pleading we were allowed to acquire the whole lot and all 11 were off-loaded at the foot of Boesmanskop, at 7 000 feet above sea level, the highest mountain in the region and whose foothills were on our ranch. In the beginning they were incredibly wary and elusive. Often when scanning the mountains through my binoculars, I would pick them up running hell for leather into the heights (their natural flight path), when I was over three kilometres away. Today, after an initial set-back in which we lost two stallions, our zebras flourished and, before we sold the ranch, numbered 43. In addition, they became much more relaxed. 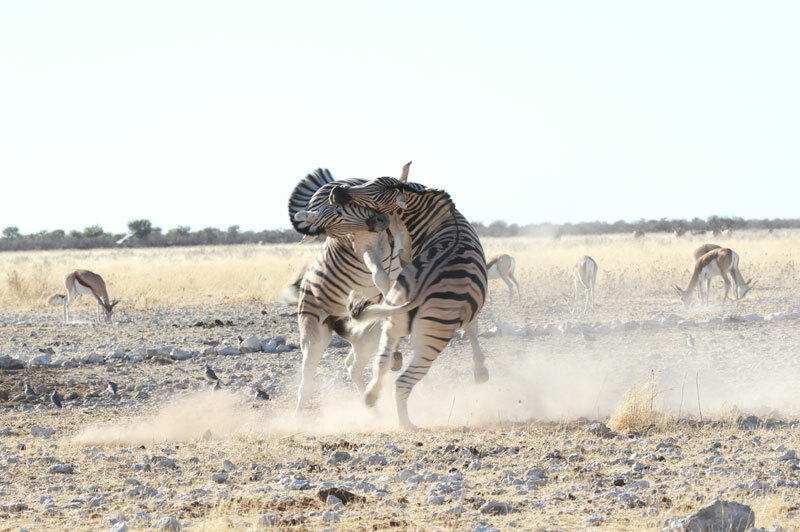 Research indicates that mountain zebra are probably capable of learnt responses as opposed to mere instinctive behaviour. Their brain is large and has a complicated structure. This, coupled with their longevity – up to 25 years – and their sound social structure – stallions and mares often stay together for life – supported this conclusion. Interestingly enough, the small herds are dominated by a lead mare. She instils discipline. She fights off the advances of interloping stallions. And she chooses her mate. If she loses her mate or is inadvertently paired with a stallion unacceptable to her, as sometimes occurred when the various game reserves sold animals (typically one stallion and two indiscriminate mares) to game ranchers, she might not breed for years, if ever. The stallions, for the most part, are even tempered, although as Peter Burdette (Warden of the Karoo Nature Reserve) once told me, "If you want to see a stallion up close and personal, take a dog into their proximity". On more than one occasion stallions have chased his dog into the back of his truck and been stopped only by the vehicle itself. Although there are isolated recorded cases to the contrary, stallions do not cover their own offspring. 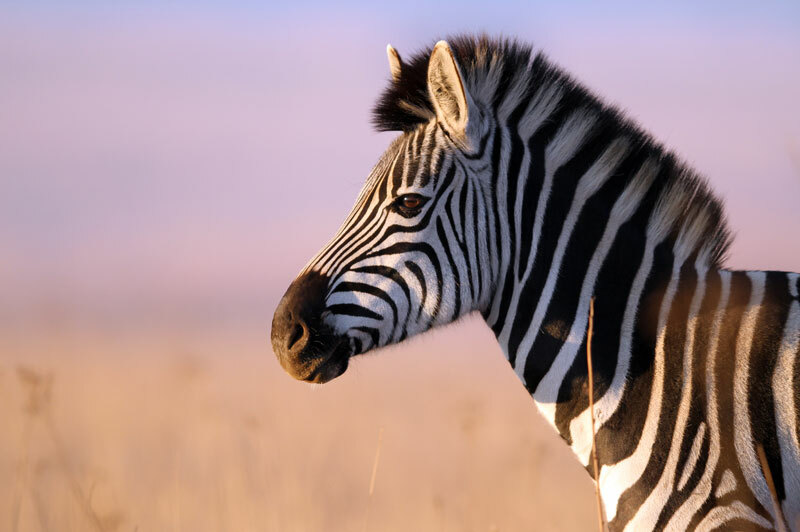 This emphasizes the importance of game ranchers acquiring properly constituted breeding herds of zebra, as well as additional independent stallions, if they want to successfully breed mountain zebra. The lead mare chases the fillies out of the herd at about 18 months of age, although the colts are allowed to remain for an extra year or two. The young females then join the bachelor stallions until they are ready to mate (at about 40 months), then choose one and start their own herd of typically three to five animals. I can hear someone out there already asking the question, "Well, if they are so smart, how did their numbers become so dangerously low?" Obviously, habitat destruction and the proud and arrogant way stallions often stand dead still, broadside on, between any perceived threat and their herd has had a lot to do with it, particularly if the threat is a man with a rifle. Clearly many of them have not learned about rifles and ballistics yet. And then, in the old days, zebra skins became very popular in the Eastern Cape as grain bags and the die was caste – if you’ll pardon the pun. To this day, grain bags are called, "streepsakke (striped bags)" throughout the region even if they no longer have any stripes. 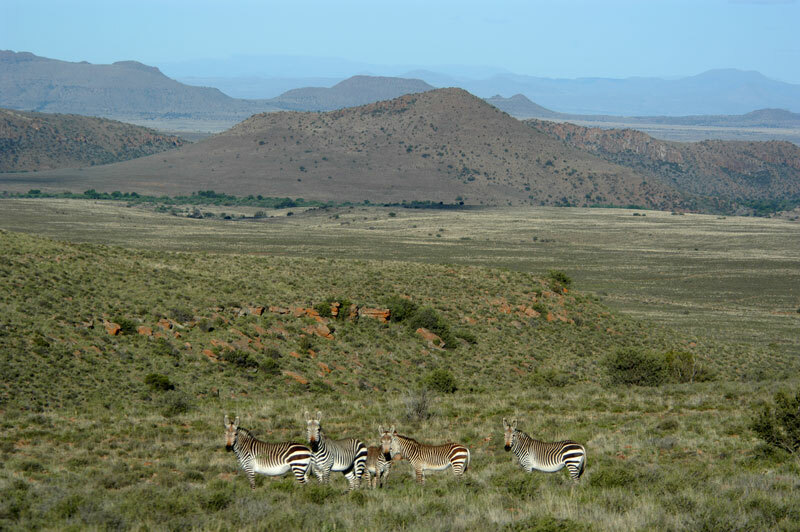 The two kinds of mountain zebra are almost exactly the same (except the Hartmann’s is slightly bigger) and both subspecies differ completely from plains zebra. They have brown stripes on the nose not black. 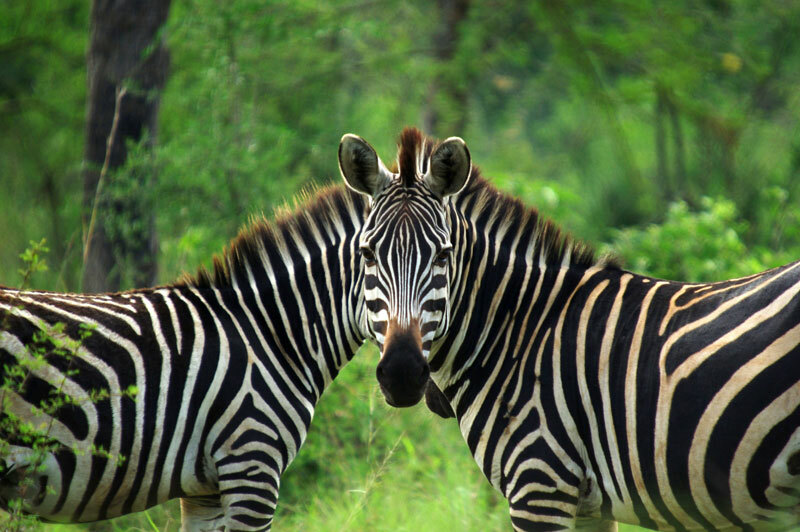 Their stripes are white and black without a brown or shadow stripe in between. Their stripes do not meet under the belly, which is all white. Their hoofs are differently shaped underneath and their track is different as a result. They have a small dewlap and are stockier. All told, at least five distinct, material differences. 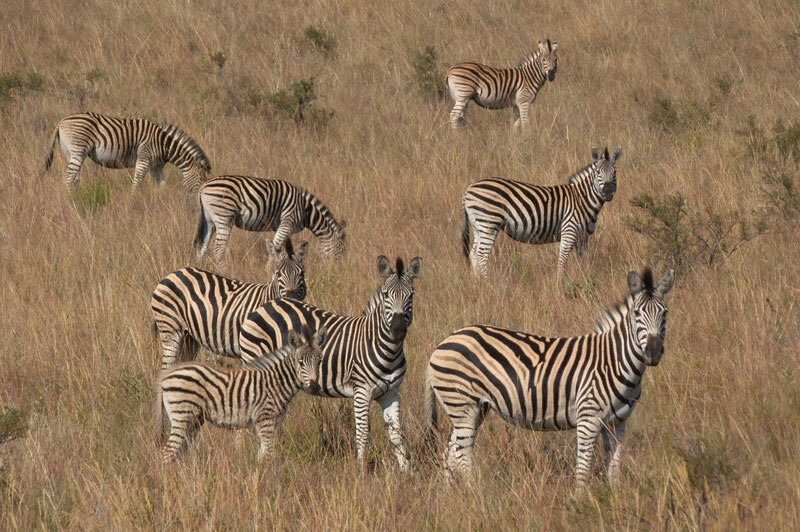 Having said that, plains zebra in East Africa, are completely different to their South African counterparts. For example, they have no shadow stripe, are smaller and have more luxuriant manes. 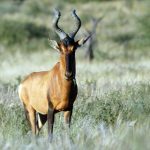 Certainly, when classifying waterbuck or reedbuck, for example, the "experts" have used far smaller and less exacting or accurate "differences" than those noted above to distinguish different sub-species. Then, as you move from the south west to the north east, the zebra’s mane becomes less luxurious until in Somalia they lose it almost completely. I remember my last two East African plains zebra well. We were driving through the Serengeti parallel to the Wasi River, dodging in amongst the thin, pale green limbs of a "plantation" of whistling thorns. There was a tap on the roof and, as we slowed to a stop, a zebra mare came hobbling into view. The wire snare had almost completely severed her right rear leg above the fetlock. It was hanging by the skin. I looked across at Nicky Blunt, my professional hunter. His face was contorted, his lips tucked in towards his teeth forming two bulging rolls, one on top of the other. His face mirrored my emotions. There was a brief flurry of Swahili between Nicky and the game guard on the back. I was already aiming at the zebra with my .375 and, when I heard Nicky say "Shoot it," the words were hardly out of his mouth before the wretched animal dropped stone dead where it stood. Two evenings later, as we headed back towards camp, blood sugar levels low, body weary and mind meandering, there was a sudden huge uproar from the back of the truck. Off to our right, a young black man hurtled at full sprint through widely scattered trees on the side of a gently sloping hill covered in short, pale green grass and very little else. Nicky stamped on the gas. Yelling, bumping, revving, thumping, mowing down small trees, we closed in on a collision course. The poacher dived into the underbrush of a small copse of trees. Nicky wrenched the wheel sharp right and we cut off his line of advance. As we lurched to a juddering, dust enveloping halt, the whole hunting team leapt off the back. They cornered the poacher. Knocked him down and smacked him around. Nothing serious. In fact, in the dim and distant past, I recall suffering far more bodily harm at the hands of my own school principal. After tying his hands behind his back, they manhandled him, face down, into the grass filled bed of the truck. We retraced our tyre tracks at a far more sedate pace and found where he had started running as well as his bow and arrows and a dead zebra filly. If he had only stayed put we would never have spotted him. He was the 23rd poacher the safari outfitter had caught in the Serengeti that year and the hunting season still had two months to run. They told me he would be sentenced to imprisonment for three years (the sentence for poaching zebra) and probably serve the whole term. Next time he would know better. And there would most surely be a next time. That night as I helplessly watched the poachers’ lights for the umpteenth time in the plains below our hillside camp, a whole confused array of emotions clouded my thoughts – passionate pursuit versus poaching; conservation versus commerce; hunting versus hunger; parks versus people. There is no simple right or wrong in our Africa of today. We stopped the truck where the two tyre, dirt track ended. Ahead of us the mountain rose through gentle, round, wave-like, undulating hillocks, the crests of which were covered in boot high Karoo shrubs while the troughs were a-wallow in still green acacia horrida. It was one of those perfect, crisp, clear, Karoo winter mornings. Not a breath of wind troubled the pale gold grasses on the plains and the mountains were framed in a uniform, bright, cerulean blue. Memories of a full farm breakfast lingered pleasantly on my palate. God was clearly in his heaven and all was well with the world. Two hill crests away, I could just make out the whitish blobs of the southern most herd of Hartman’s mountain zebra on the African continent. My wife and I had set aside the day to see whether Julian Murray, our young, 26 year old professional hunter and the fourth generation of Murrays to ranch the 18 000 hectares of which Bloemhof formed part, could guide us to one. We tried an outflanking manoeuver which should have put us above them on the mountainside. They were having none of it. Then began a lengthy game of hopscotch. We clattered and clambered and hopped over the rock and boulder strewn mountain flanks and they scotched any attempt to close with them. For a herd that had not been hunted for a long time, they were wise beyond their years. Julian decided to try and push the zebra up a narrow valley or kloof towards a pre-determined ambush point. While he was away, Jane and I advanced towards a rocky knoll right against the mountain side where we had agreed to rendezvous. A narrow boulder strewn gully provided cover. Carefully edging forward and using a light screen of low, scraggly trees to hide our silhouettes, I glassed the herd below us on the opposite ridge some 700 metres away. Our care and caution paid off. Suddenly there was a light clatter of ironstone on stone. We lay as still as sun-basking lizards while a small and previously unseen group of six Hartman’s zebras trotted forward to see what their cousins lower down were looking at. The Leica Geovids read off the intervening distance – 427 metres. Too far. Besides, although Julian had given me permission to shoot if the opportunity presented itself, I wanted him to be there so that we could agree on the correct animal – preferably an old mare, no longer breeding, who was losing condition. Putting my diminutive wife behind a bush to watch proceedings, I squirreled forward on my belly. As the Karoo rocks gouged at my rib-cage and the spiky Karoo shrubs stabbed my khaki clad knees and elbows, I confess the thought did cross my mind that I was getting too old for this kind of thing. With a broombush to my right throwing its shadow over me and the burnt remains of a fire blackened, stick-like renosterbos (rhinoceros bush) to my left, I set up my custom made .300 Win. Mag., – a Ferlach barrel married to a Brno action, Timney trigger, black fibre-glass stock and 2.5-10×56 Zeiss Diavari Z scope. Three 180 grain Winchester Fail safe cartridges nestled in the magazine and one in the chamber. I adjusted and levelled the Harris bipod attached to the reinforced front sling swivel, removed some uncomfortable stones and pebbles, read off the distance to the zebras again and settled in to wait. I had been practising all week on our 300 metre range. I was reasonably confident but not cocky. The two "easy" 200 metre shots I’d missed the day before had made sure of that. Now if only they’d come a little closer! The six strong herd took their time. Every now and then I would drop my head onto my stock, close my eyes and allow the warm midday sun to ease and relax my shoulder muscles, tense from holding up my upper body on my elbows. A scrunching, gravelly sound announced Julian’s return. After he had carefully studied the herd we compared notes. If and when the bottom, left hand, barren, old mare stepped over an invisible 350 metre line, I should take the first shot that presented itself. Why 350 metres? Well, this was a self-imposed limit. I suppose it could just as well have been 340 or 360 but this seems to be the furthest distance I can shoot accurately under optimum, wind still conditions with a solid rest. At moments like these, time seems to totter by in slow motion – frame by tired frame. Patience. Self discipline. These were my watch words. Eventually, there is movement. The lower and larger herd trot up hill. Ears are pricked. Hooves are stamped. Tails are flicked. The pregnant mare shimmies to the left and brakes to a halt. The stallion turns perfectly broadside. The lead mare, followed by her foal, jogs diagonally down the slope to my right. She pushes the two old, bottom mares in front of her. They slow to a walk and the larger of the two stops at 341 metres. I swop my binoculars for telescopic sights. I am very steady. So steady that only my heart beat bobs the horizontal crosshairs up and down, up and down – like a metronome. The vertical crosshairs glue themselves along the front leg. The horizontal crosshairs blip across her back. I breathe deeply. The crosshairs dip. I exhale in one long, continuous breath and squeeeeeze the trigger. I know it’s a good clean killing shot even before I hear the dull, delayed "Shtup!" Even before I hear Julian say, "It’s a hit." The zebra reverses course and walks stiffly and slowly behind a broombush. As she emerges, I place a second shot in almost the exact place as the first but on the opposite side. I stand and the mountain side folds away beneath my feet into the plains across the valley floor and into the greys and blues of the Sneeuberge (Snow Mountains). The other zebra mill around, reluctant to leave their fallen companion as we cross towards them. We are all quiet when we arrive. Especially the zebra. Long ago I read an article on the five responsibilities of a hunter. As my memory serves me, the first was to acknowledge the God who created heaven and earth and all things in it. Secondly, to understand the role of the State and observe its laws regarding hunting. Thirdly, to behave in an acceptable manner towards the landowner on whose property you hunted. Fourthly, you owed it to yourself to live a life which kept you as fit and healthy as possible to allow you to hunt in an ethical way. And finally, and the point I really wanted to make, was that you owed a duty of respect and regard to the animal you hunted. No matter how humble. No matter that it did not or could not qualify for any record book or award.